The Opera Orchestra of New York and Music Director Eve Queler announced the 2010-2011 40th Anniversary season today. Included in the 2010-2011 40th Anniversary Season is a double bill of Massenet’s La Navarraise and Mascagni’s Cavalleria Rusticana led by Music Director Designate Alberto Veronesi on October 25, 2010 and an anniversary performance of Meyerbeer’s L’Africaine conducted by Eve Queler on March 2, 2011. Casts include Roberto Alagna, Maria Guleghina, Elīna Garanča, Mignon Dunn and Marcello Giordani. Wait a minute ... Mignon Dunn? The last time she was on an operatic stage was in Elektra at the MET in 1994. Wow. I think it's safe to say that you'll not want to miss *this* Mamma Lucia, Friends. 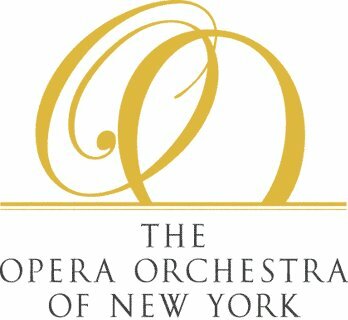 The season will also include the company’s annual Vidda Award recital featuring 2011 Award recipient soprano Meagan Miller at Merkin Concert Hall at Kaufman Center on Wednesday, February 9, 2011 at 8:00 p.m.; and young artist recitals as part of the Opera Orchestra of New York’s Rising Star recital series. I'm assuming Mme. Aprile Millo wasn't available for any of these dates? !